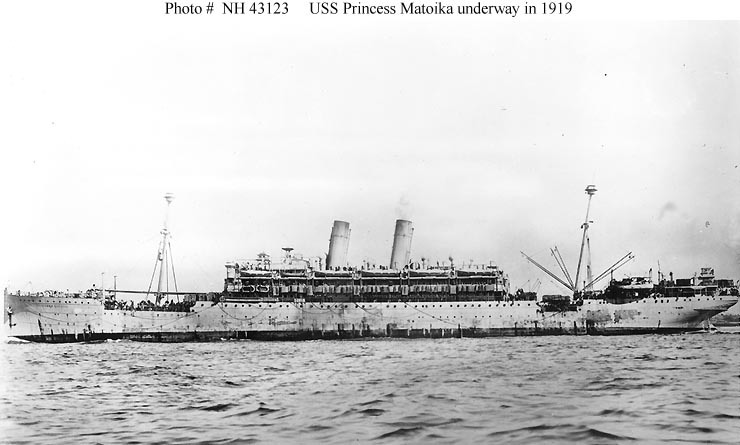 USS Princess Matoika, a 20,500-ton (displacement) troop transport, was built in 1900 at Stettin, Germany, as the 10,911 gross ton German flag passenger liner Kiautschou. Renamed Princess Alice in 1904, she continued in active commercial service for another decade. When World War I began in August 1914 the ship was in the western Pacific and soon steamed to Cebu, one of the American-owned (and therefore neutral) Philippine Islands, where she remained in port as German property. 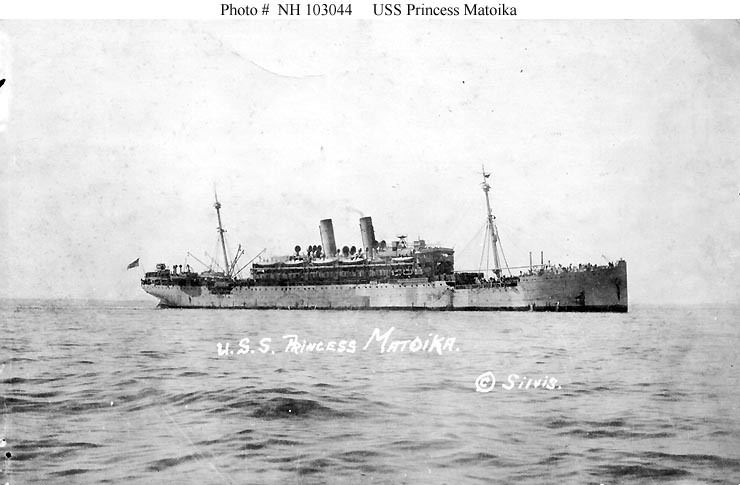 Seized by the United States upon U.S. entry into the conflict in April 1917, she was renamed Princess Matoika. 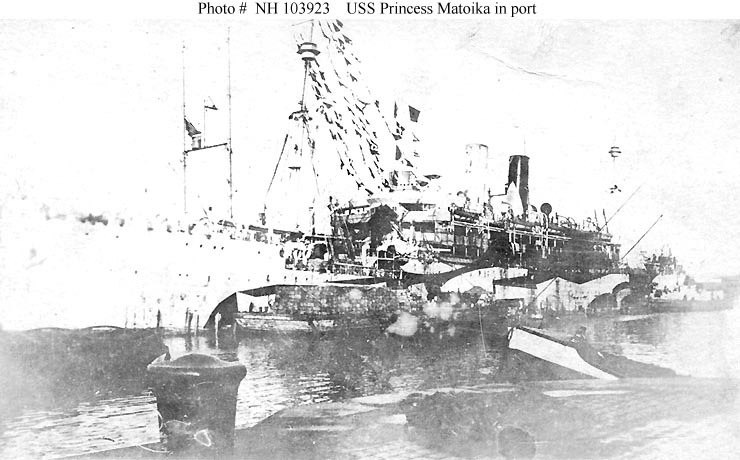 A year later, in April 1918, she was turned over to the U.S. Navy, which placed her in commission as USS Princess Matoika (ID # 2290) and employed her for the rest of the war transporting troops to France. 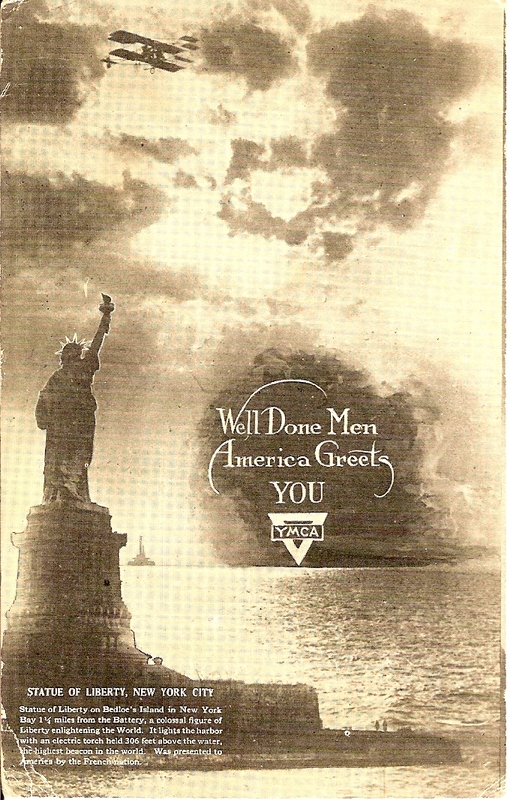 Following the November 1918 Armistice she reversed the flow, bringing more than 21,000 service personnel home from the former war zone. 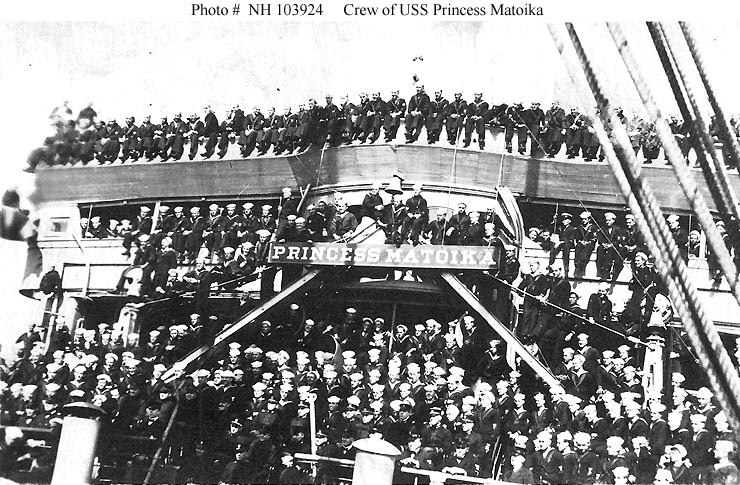 In September 1919 USS Princess Matoika was decommissioned and transferred to the War Department. In 1920 she returned to commercial trade, retaining her wartime name until 1922, when she became the S.S. President Arthur. Again renamed in about 1927, she operated in between the U.S. West Coast and Hawaii as the S.S. City of Honolulu. Damaged by a fire in May 1930, the ship had no further active service. She was sold for scrap in 1933 and broken up in Japan.